By Contributing Author 3 Comments - The content of this website often contains affiliate links and I may be compensated if you buy through those links (at no cost to you!). Learn more about how we make money. Last edited April 8, 2014 . It’s a rite of spring: Dust the cobwebs, beat the rugs, scrub the floors and get rid of winter’s clutter. Spring cleaning has taken on an almost ritualistic significance with powers of revival and invigoration as we confront the year ahead. At least until it’s time to file our taxes. For many of us, filing our taxes is a reminder of how disorganized our finances really are as we scour our drawers, our files and shoe boxes for documents, statements and receipts. Most of us feel a sense of relief when our taxes are done, if only because we know we won’t have to contend with them for another year. What if you could bring the same sense of rejuvenation to your personal finances that you feel when your home sparkles? 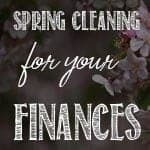 It’s time for spring cleaning your finances. Extreme organizational tip: Buy a scanner that enables you to scan and upload receipts, bills and invoices, and organizes them by category. With the availability of online account management for credit cards, banking, utilities, and investments, there is no real reason not to go completely paperless. Keeping records in the “cloud” is about as secure as keeping them in a buried safe. Finding and managing records online is much easier than rummaging through files or stacks of documents, and paper cuts are completely eliminated. If you do feel the urge to handle a hard copy you can simply download and print it at any time. With very few exceptions all of your major accounts offer and even encourage online management. 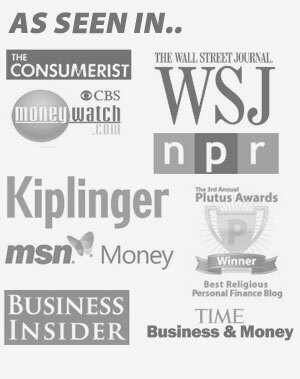 Several online personal finance sites provide the capability of viewing and managing multiple accounts under one roof. Sites such as Mint.com are a complete personal financial management hub enabling you to organize your accounts and link them to a personal budget for cash flow management. You can even set payment reminders on a calendar that will alert you in advance. Where you can, you should set up your credit card and utility accounts with automatic payments. Set it and forget it. For your long term documents, such as insurance policies, wills, trusts, contracts, leases, and tax forms, you will need a secure file cabinet with a lock or a safe (preferably fire proof). These documents, which you rarely access, should be filed separate from short term documents. You may want to consider utilizing one of several document storage sites that enable you to upload copies of important documents that can be stored online. You would want to share the site with a trusted family member or advisor. Personal finance tip: You should review your insurance policies, wills and trusts at least once per year to ensure that they continue to reflect your needs and current financial situation. It’s especially important to review your beneficiary designations. Make the spring one of the three times a year you order one of your free credit reports from Experian, Trans Union and Equifax. Use your spring cleaning as an opportunity to clean up your report and review your credit accounts. 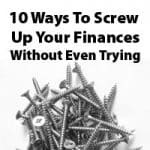 If you have account balances, it may be a good time to move balances around in order to take advantage of low interest credit card offers and reduce your credit utilization ratios on accounts with higher balances. Thanks for the reminder. I still need to get a shredder. Planning on shredding a lot of stuff after I finish my taxes. Great plan, and you can do it all in one day. I kept breaking/jamming my shredder. So now I bring in my shreddables to the office, and drop it in the secure shred bin. Granted, I miss out on the cathartic experience, but it’s close. I will be setting up a file system this weekend. My tax stuff is too disorganized. Great idea! And it coincides so well with Tax time, it seems logical to organize, then file , right? I think this is something that should be done monthly or at the very least quarterly.